Note: the webmaster does not forward correspondence or disclose contact information. Driving: Take the Embarcadero Road exit west toward Stanford. At El Camino Real, Embarcadero turns into Galvez Street as it enters the Stanford campus. Stay in the left lane and continue toward the center of campus. Drive past Memorial Way. 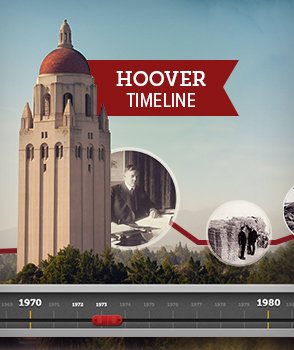 The Hoover Institution is at the corner of Galvez Street and Serra Street. Driving: Exit Sand Hill Road east toward Stanford. Continue east, turning right at the traffic light on Santa Cruz Avenue. Make an immediate left onto Junipero Serra Boulevard. Turn left at the second traffic light and onto Campus Drive East. Continue around Campus Drive East and turn left when you reach Serra Street, at the gas station. Follow Serra Street until it ends at Galvez Street. The Hoover Institution is at the corner of Galvez Street and Serra Street. Note: All job applications are handled by Stanford University. 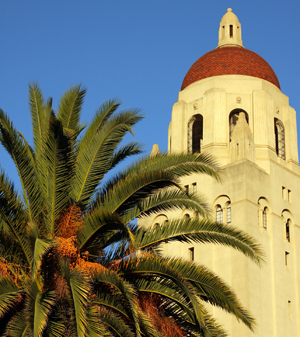 To search for jobs at Hoover, click the link above, select job search on the Stanford careers page, and, under the location field, select Hoover Institution.